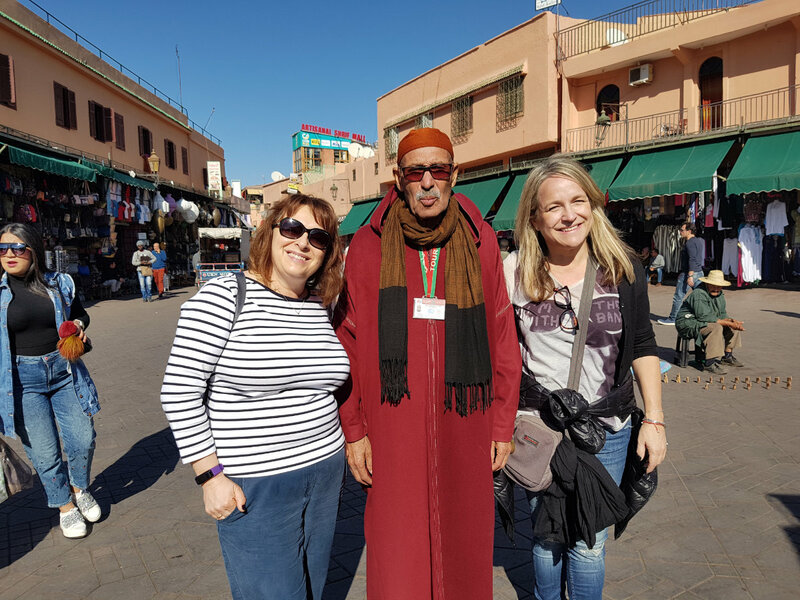 Travel Dog PR – Travel | Consumer | Lifestyle – Marrakech Marmite? I love it! We have stayed at Riad Africa in Marrakech on many occasions (booked through excellent Morocco operator and Travel Dog client Fleewinter) and I promised to leave a brief review on Trip Advisor after our recent visit in early December; we went with friends, Sara and David, who had never been to Morocco, and never stayed in a riad before. I work in travel and Trip Advisor is not taken seriously by many people (in the industry) because of all the bogus reviews. What I do when I check out a hotel, is go by the percentages. If somewhere has hundreds of excellent or good reviews (as Riad Africa has) and only a handful of one-star reviews, you know that it is a sound place and there must have been issues with the one-star reviewers’ stay (as can happen anywhere in the world). Staying in a riad is not like staying in a hotel; they usually have less than 10 rooms (Riad Africa is slightly bigger), it is more like staying at a villa with friends (it is a great way to meet like-minded people). Rooms also tend to be smaller in riads than modern hotels, but that is because they are very old family houses, and back in the day rooms were smaller (because people were smaller). Have you ever seen the rooms in the five-star George V in Paris? They are small. It’s an old hotel. But staying in a riad is the only way to get under the skin of Marrakech (or any of the other imperial cities). An oasis of calm just a short stroll from the buzz of the souks and the main square. There are some good hotels outside the Medina, but to truly experience the city it’s best to be in the thick of it. The more I return to Marrakech, the more I love it. And I can’t really say why. It just exudes exoticism. Riad Africa is a great base, good food, very friendly staff and extremely accommodating. From time to time things can go wrong in Morocco (it ain’t New York!) but that is all part of its charm. So, take my tip, play the percentages when consulting Trip Advisor and have a laugh at the handful of one-star reports! And do stay at Riad Africa, it’s fab – it has also just opened a spa – (and make sure you have dinner at Le Comptoir, the famous belly dancing club).